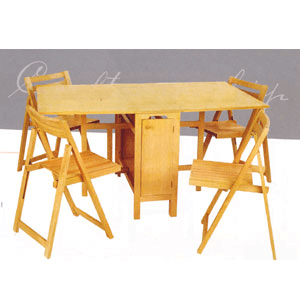 Solid beechwood and veneer 5-piece spacesaver dining set, 4 Chairs stowed inside!. Chair includes the table and 4 Chairs. Available in Natural or Wengae Finish.